As the Office Admin here at SkyTruth, I’ve had a hand in getting the SkyTruth Alerts system up and running, and I use the system to monitor both the issues in the Gulf of Mexico as well as in the Delaware Valley. I moved here to Shepherdstown from Southern NJ, I have family and friends that still live back in Philly and I have my alerts set to that area because people I know and love are there. 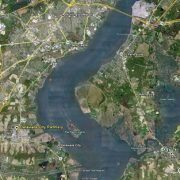 I’ve gotten alerts almost on a daily basis from SkyTruth Alerts about a release of Hydrogen Cyanide from the Delaware City Refinery in Delaware, right across the river from Southern New Jersey. I downloaded all the data from the reports received by the National Response Center regarding this release and am quite frankly upset by the lack of information put out to the general public regarding this issue. After Googling Hydrogen Cyanide, Delaware City Refinery, the first three results were this page from the Official Website of the State of Delaware, and the alerts from SkyTruth’s Alerts system dating back to October 2. No media coverage, no local interest. Does my family know that they are being subjected to this? Probably not because hydrogen cyanide is, according to Wikipedia, colorless and odorless unless you possess a specific genetic trait that allows you to detect it. 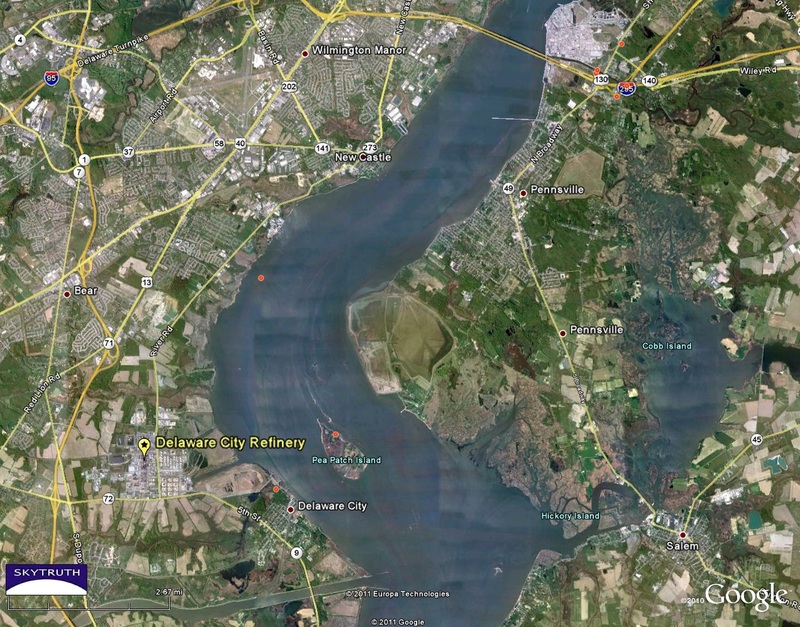 The report on 10/2 taken by the NRC states that just trace amounts of Hydrogen Cyanide have been released. Yet the report on 10/14 says that 200 pounds has already been released. In addition to Hydrogen Cyanide, they also report the release of Carbon Sulfide, Ammonia, Hydrogen Sulfide and Anhydrous. Wind direction, according to Weather Underground seems to be blowing these chemicals towards NJ over the last few days. Do you hear that, Pennsville residents? Hello Salem?? You guys listening? And there is no smell unless you have that genetic trait that allows you to smell Hydrogen Cyanide. This is a great example of how the SkyTruth Alerts system can be useful for citizen monitoring. I’m not a techie girl, I’m not a GIS analyst, I’m a mom, a sister, a daughter and a concerned friend, and this system provides me with a way to see what’s going on in the place where the people I love live, and I will continue to use it to monitor the places I care about.